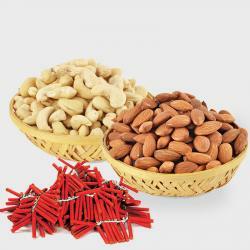 Product Consist : Basket of Raisins and Pista (Weight 500 Gms) with Assorted Fire crackers (Worth Rs.300/-) (Note: Types of Fire Cracker are depends upon their availability no specific choice). 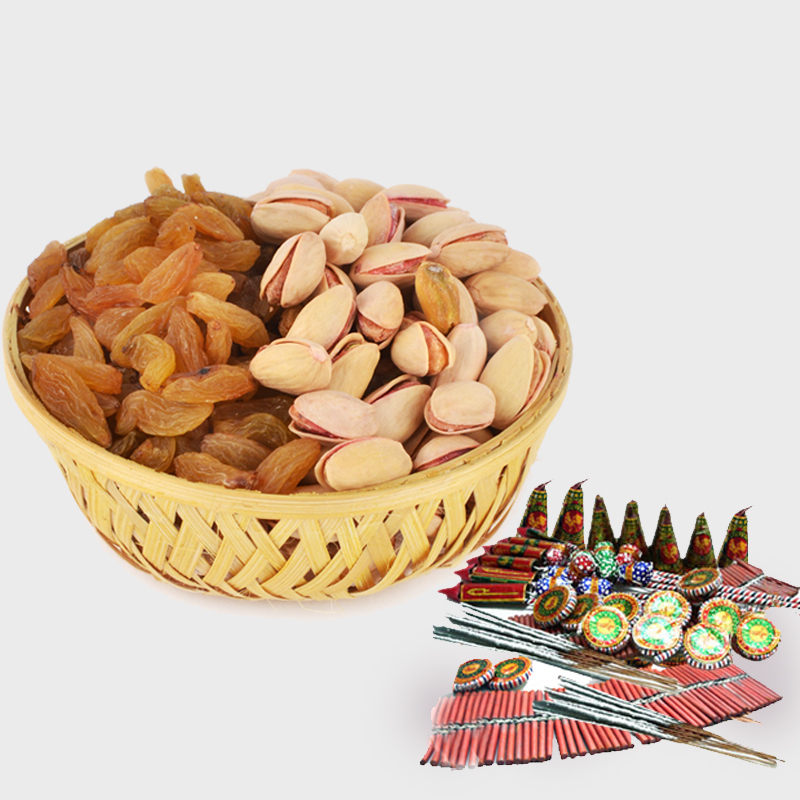 Rich and tasty dry fruits like Pistachios and Raisin arranged basket with fire crackers are make the best gift for occasion of Diwali. Make your dear ones feel special with presenting them a hamper that has all things very beautiful. 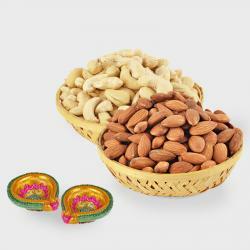 Specially for the festival of Diwali we bring you this hamper which comprises of a tray loaded with dry fruits along with assorted firecrackers. 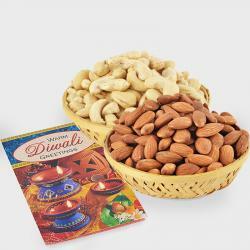 Fire crackers make an integral part of Diwali celebration and so we have them clubbed in this hamper. 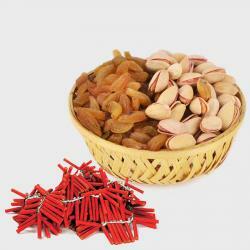 Product Consist : Basket of Raisins and Pista (Weight 500 Gms) with Assorted Fire crackers (Worth Rs.300/-) (Note: Types of Fire Cracker are depends upon their availability no specific choice).